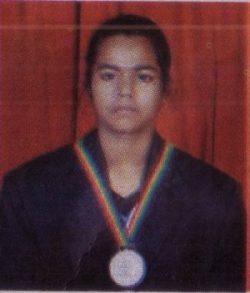 Jaffna Chundikuli Girls College student Wijeyapaskar Asika will travel to Australia, to represent Sri Lanka in the Common Wealth Weight Lifting Championship to be held in Australia. The Commonwealth Weight Lifting Championship for Women will be held in Australia from 3rd September to 9th September, 2017. Asika will represent Sri Lanka again in this championships. The Managing Director of Vijiland Export Limited Ainkaran yesterday presented Rs.200,000/= in encouragement to this Athlete at the Duraiyappa Stadium, Jaffna.